The day was so full from the moment the sun rose, I found myself unable to even find the time to post to the Archives in my typical morning fashion. Fortunately, at day’s end, I was gifted a window to unwind. 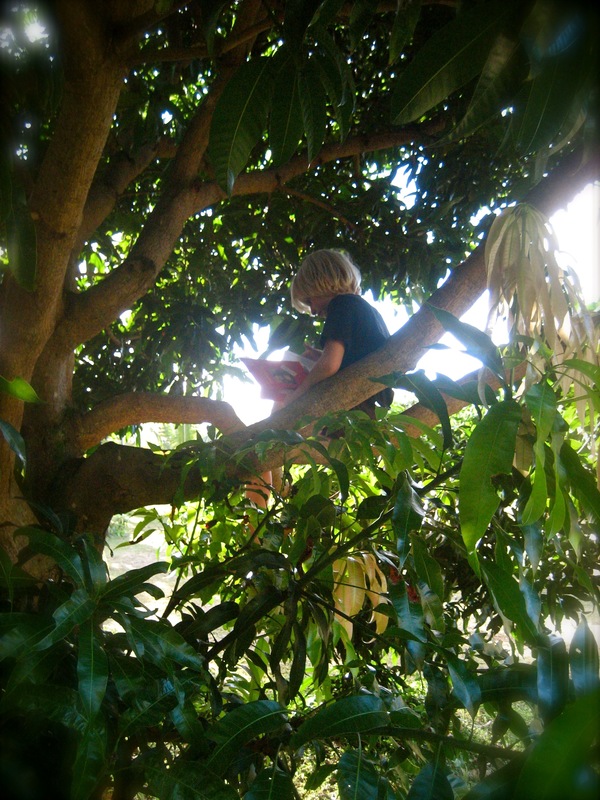 At Jeb’s urging, we wandered down to the mango tree – his new favorite spot – where he decided to get some homework done, up in the branches. At times it may feel like I’m barely holding on to the coattails of some rapid force that thrashes me about at full speed. What a gift to just let go of the grasping and soak in the magic of a moment with my son. If I hang here long enough, maybe I’ll even have a chance to gain some wisdom from this tree. This was heartwarming. The photo of your son is beautiful! 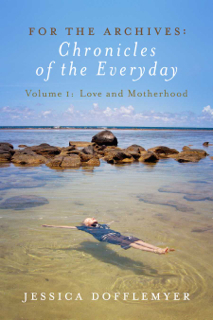 On occasion, I think of my precious moments with my nephews when they were little boys and it fills me with gratitude. Thank you! I felt grateful to be there to witness it and to be reminded of what is truly precious.